Four years ago Mo'ne Davis became a star during the Little League World Series. She's decided that she will play softball for Hampton University next year. 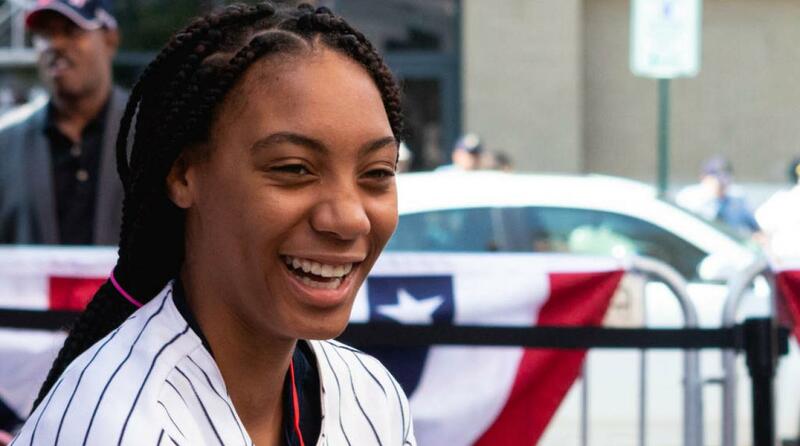 With South Philadelphia's Taney Dragons, Davis was the first girl to win a Little League World Series game as a pitcher and the first girl to toss a shutout in Little League post-season history. According to the Philadelphia Tribune, Davis chose the storied HBCU in Hampton, Virginia over, Bethune-Cookman University, Southern University, Coppin State University, the University of Massachusetts and the University of Pennsylvania. Though she will play softball at Hampton, she also plays soccer and basketball at her high school.